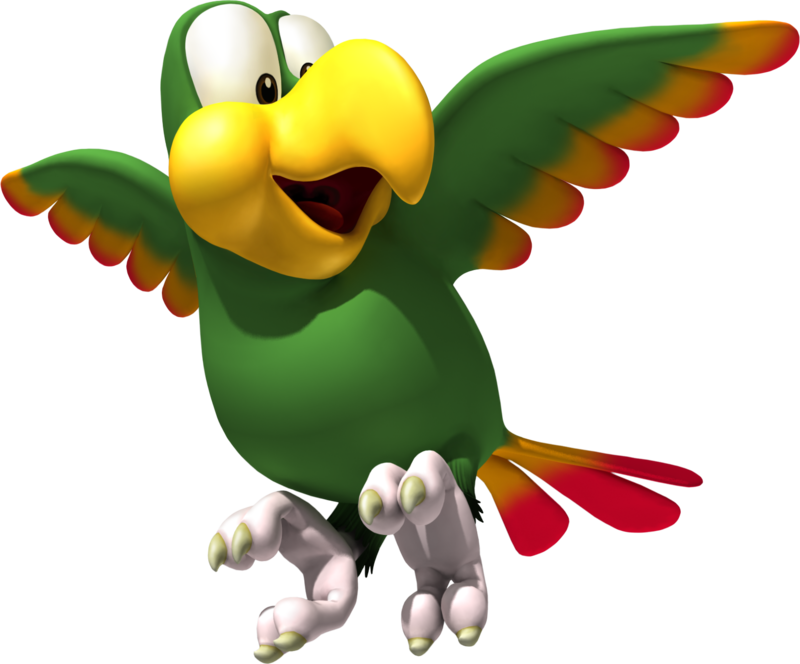 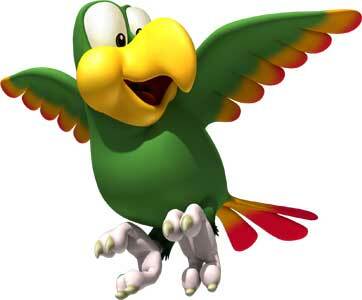 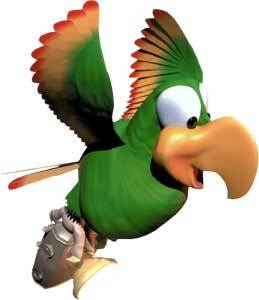 Squawks is one of the animals that are helping Donkey Kong and his friends and family members since Donkey Kong Country (1994). 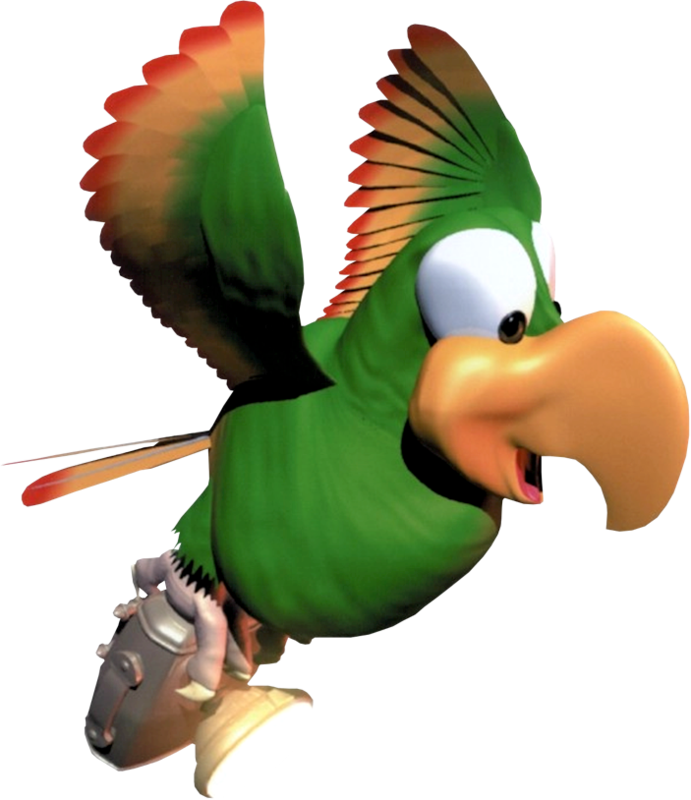 Unlike the other animals, Squawks can not be mounted and is helping in different ways. 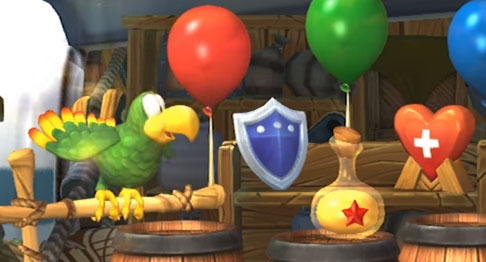 Squaqks appeared in every Donkey Kong Country game and is also seen in spinoff games or the Donkey Kong Adventure add on for Mario + Rabbids Kingdom Battle in 2018.